Tra Vinh is culinary flavor characteristic of 3 nation, Khmer and China. Porridge implies: big fish, sharks, cutting it departed, boiled. Sliced ​​pieces of meat the size of fingers and bring fried with onion. Then the broth is used to cook porridge fish so true in large clay pot. Porridge to add a grilled onion, dried shrimp and dried squid so fresh and fragrant. Porridge cooked can fish in Caviar aside, made finely and then poured into the pot. Dining in style rice soup renders indispensable finely chopped raw vegetables, cilantro, egg prices and crispy sesame rice paper crumble toppings. The price of a bowl of porridge from 20,000 to 25,000 VND possessed. 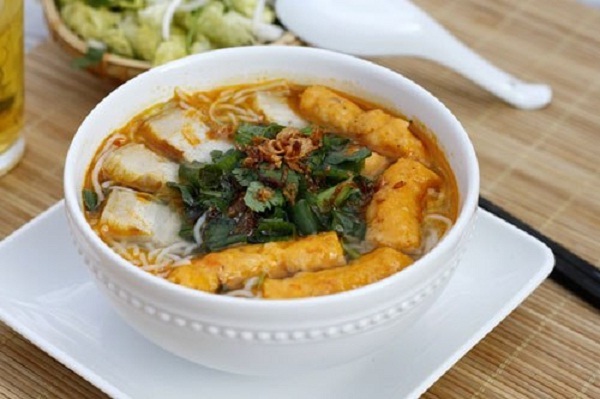 “Ben co” bread soup: Like other cake soup, bread and fiber components soup decided taste, the food delicious. Fiber bread made from rice flour to make bread in, chewy and restrictions were blooming when soaked in water. 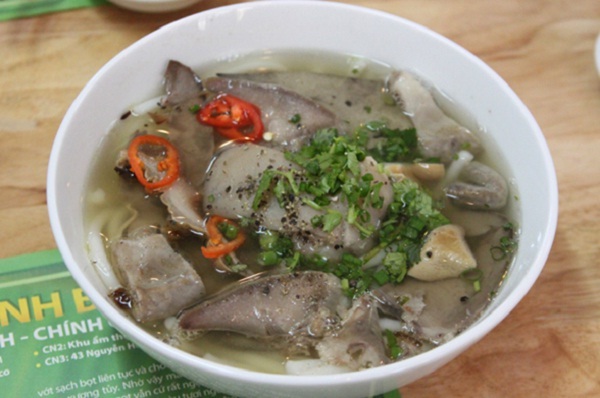 Soup is not too picky when it is cooked from pork bones. Users can combine noodles with pork , lean meat, corn , nails or heart … Served with lemon chilli sauce is cup . Government -taste of pure sauce as resonant with ingredients make this rustic dish become delicious. 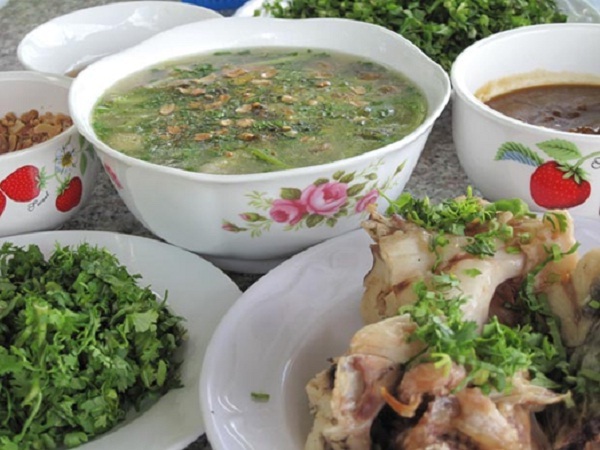 Noodle soups: Dishes include catfish, roast pork, shrimp and especially Prahok the sight and scent to your nose tingle. Noodle made ​​from rice and sweet season should be very tough. To meet the requirements noodle bowl must have grafted vegetables including sprouts, chives, bananas. A bowl with affordable price is from 20,000 to 25,000 dong. “Chu u”: with U of clean, put up a pan of oil, onion, crushed garlic, the juice of tamarind in and tasting so sweet sour taste. U very sure meat, delicious crispy shell calcium, if guests “love” the taste of the sea, this is the ideal food and fun. In addition, U also processed in other ways like steamed, boiled, roasted … A U disk me for 2 people eat about 6, 7 children with prices ranging.